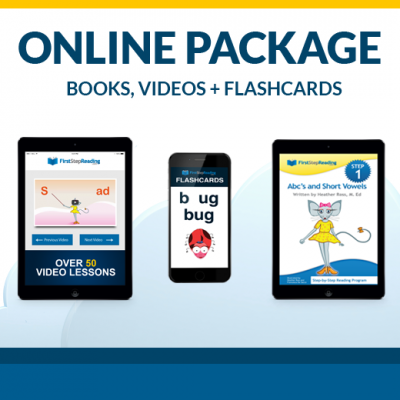 Complete Package: Books and DVD’s + Online Learning! Books, DVD's + Online Membership! READING BOOKS: Practice Reading Book Set: 3 books, Over 250 pages! Same Day Shipping! Priority Mail. Over 50 Video Lessons, Commercial Free! 12 Month Online Membership, Instant Access! Read All 3 Books Online, over 250 pages! 12 Month Online Membership, Instant Access! !